Hi Julia, It seems there are a lot that go to ten and I couldn’t find any really that went above 21. I haven’t read these but here are a few suggestions and yes one is Australian. I’ll start with that one. From ‘1 wonderful wombat’ to ‘21 baby crocs’, this is not just another counting book. 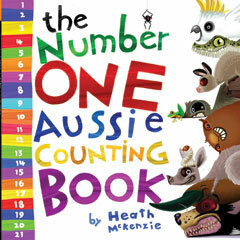 It has lyrical prose to challenge the developing reader, and Heath McKenzie’s trademark funky Aussie animals. Learning to read and count has never been so much fun. This is available through the publisher or booktopia at the moment, (please feel free to use the link at the side of the page to get you there). 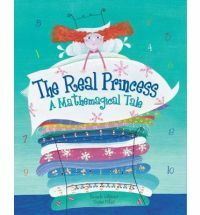 Features three princess, four horses, five dogs, six grooms, seven gardeners and various kinds of chances for young mathematicians to put their adding and subtracting to the test. This book introduces basic addition, subtraction, multiplication, and division, and includes a ‘Test Your Maths Skills’ section. 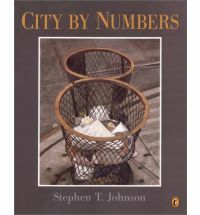 This is a wordless picture book where the numbers 1 -21 are hidden in the realistic cityscape illustrations. Some of the numbers are more difficult to pick out than others.